Stefanov, SZ; Wang, PP, Smart Grid Creatures, New Mathematics and Natural Computation, vol 14 no. 03 (2018), pp. 307-321 [abs]. Stefanov, SZ; Wang, PP, Taming the Dragon-King of a Day-Ahead Smart Grid Blackout, New Mathematics and Natural Computation, vol 14 no. 01 (2018), pp. 11-20 [abs]. Stefanov, SZ; Wang, PP, A Biologically-Inspired Smart Grid Replication, New Mathematics and Natural Computation, vol 13 no. 03 (2017), pp. 375-383 [abs]. Sun, Z; Wang, PP, Big Data, Analytics, and Intelligence: An Editorial Perspective, New Mathematics and Natural Computation, vol 13 no. 02 (2017), pp. 75-81 [abs]. 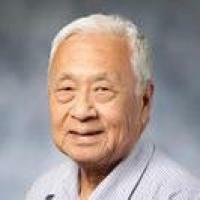 Sun, Z; Wang, PP, A Mathematical Foundation of Big Data, New Mathematics and Natural Computation, vol 13 no. 02 (2017), pp. 83-99 [abs].